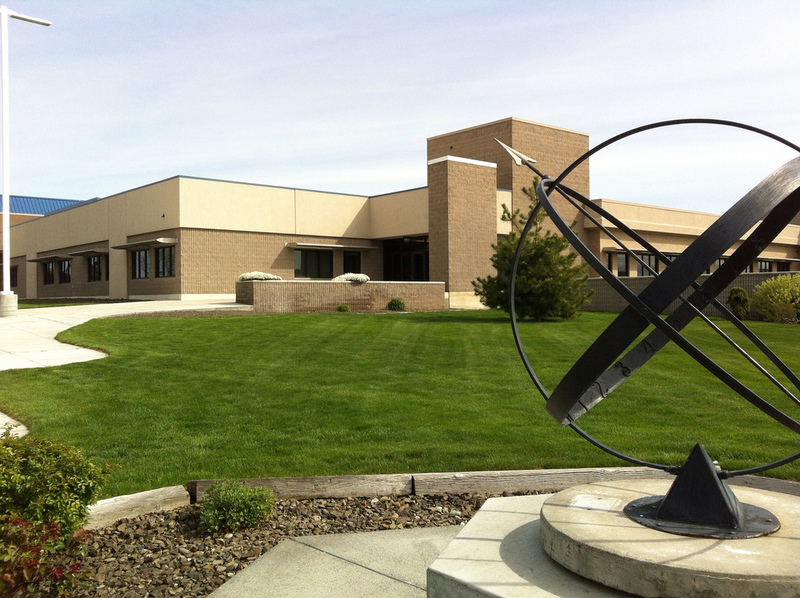 The Columbia Basin College at 2600 N 20th Ave, Pasco, WA 99301 (in Franklin, my 11th Washington County!) is simple and attractive. 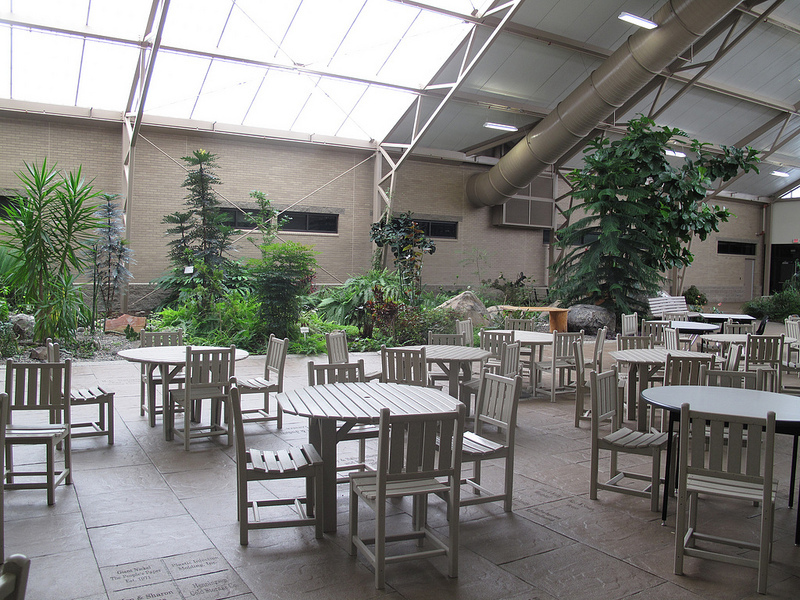 My group meant in three of the building with the most interesting being the inside courtyard which had a tropical rainforest vibe going on with warm temperatures and an indoor pond. 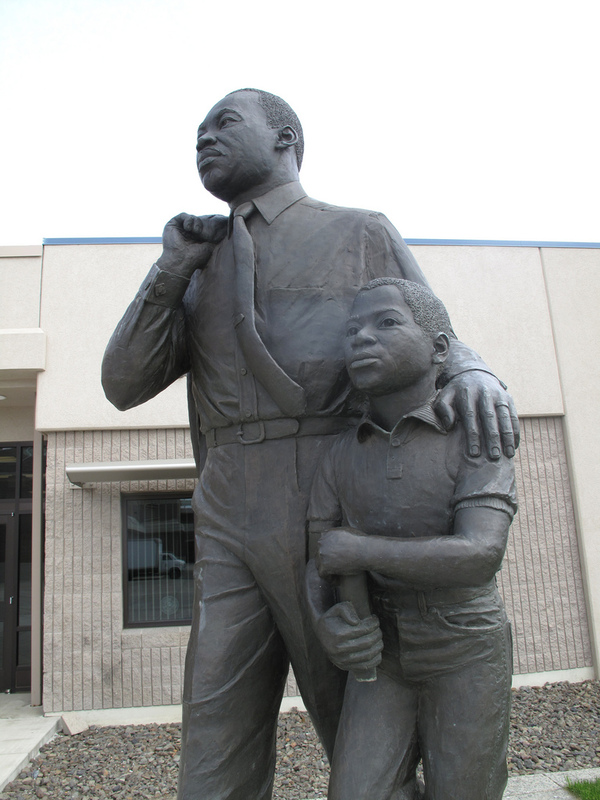 There is also a great sculpture of Martin Luther King, Jr. walking with a young, determined boy. The college’s mascot is the hawk. This entry was posted in Art -- there is art here!, Pasco, Schools, WA State - Franklin and tagged Columbia Basin College, Franklin, hawk, Jr., Martin Luther King, Pasco, sculture on April 21, 2013 by admin.